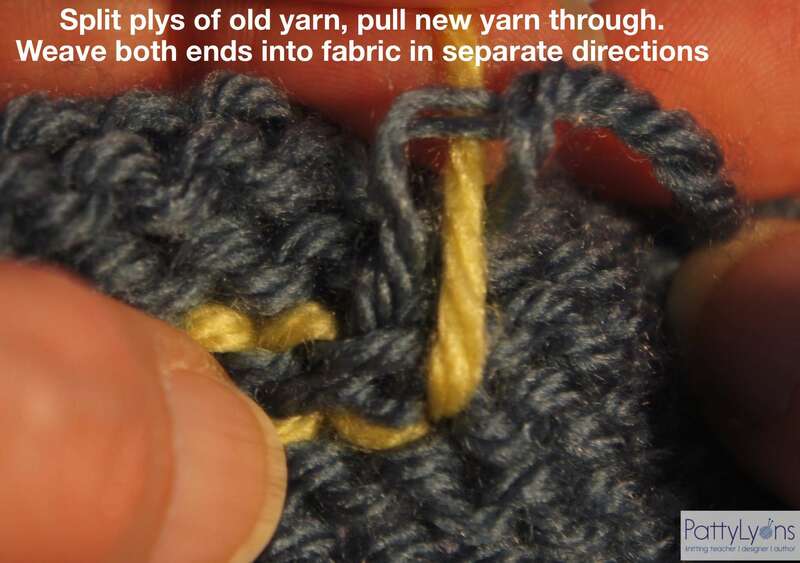 Last winter I wrote a Tuesday Tip about using duplicate stitch to reinforce stitches before a hole formed. 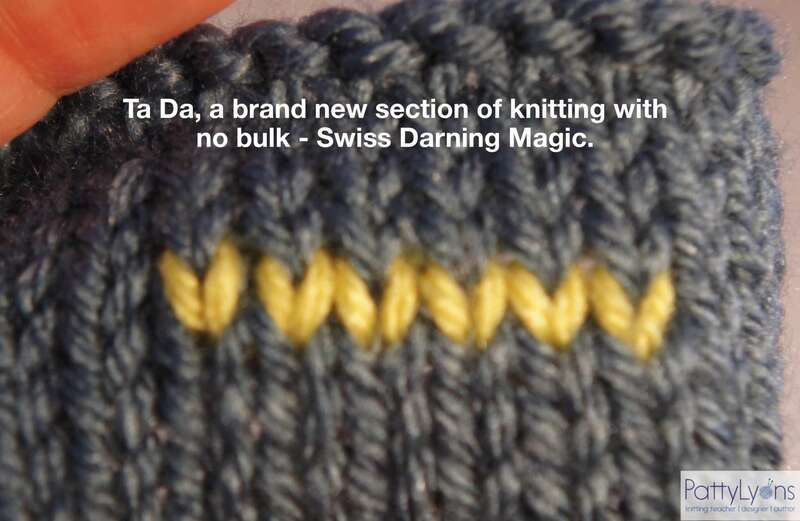 Today I want to kick that up a notch and explore Swiss Darning (a term sometimes used interchangeably with Duplicate Stitch). Duplicate stitch, true to it’s name, duplicates a stitch. When you have a stain or a small hole, or a fray in your yarn that will become a hole, you can replace those stitches with new yarn. The first thing I like to do is take a running start at it by duplicating a few stitches before the problem area. Can you start to see the path? 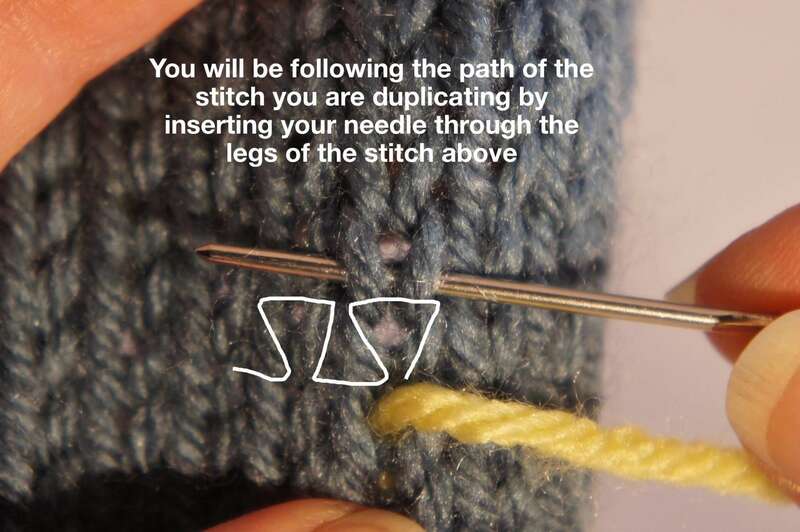 Once you get the hang of the path, you can “chase” the broken yarn, by putting your needle into the space that the broken yarn is coming out of. I continue to replace stitches until I have worked over the stain or frayed bit AND I have a long enough tail of the old yarn to weave in. 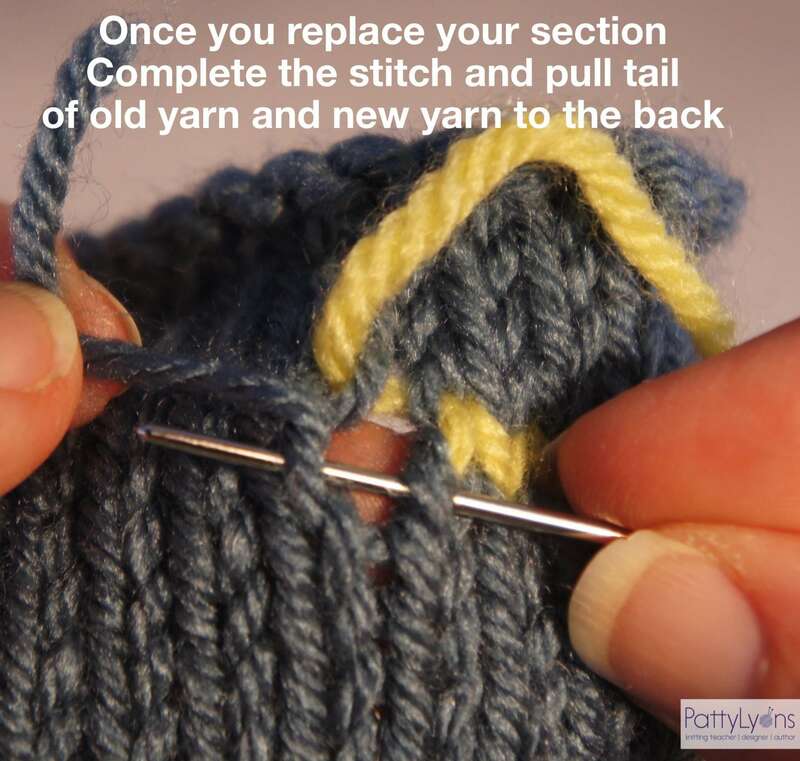 There are oh so many fixes that can be made to your knitting. To watch a myriad of other fixes (fixes in cables, lace, color work, circular knitting, shaping and more – both on and off the needles! ), check out my Interweave DVD, Advanced Knitting Fixes.